LAUSANNE, Switzerland (AP) — Olympics organizers on Friday welcomed an agreement between North and South Korea to unite athletes at the upcoming Winter Games in Pyeongchang, and promised that “much more exciting initiatives” promoting Korean unity will emerge this weekend. 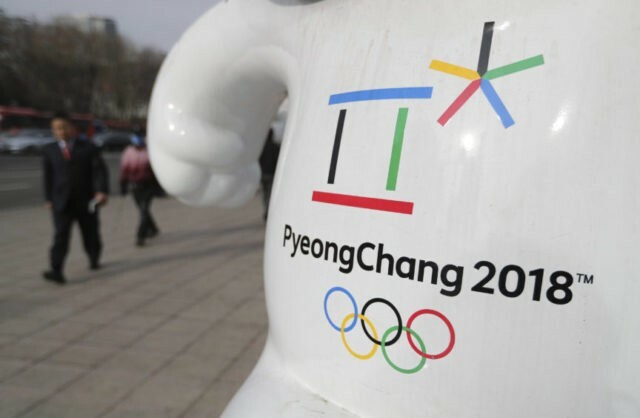 “Watch this space,” International Olympic Committee presidential spokesman Mark Adams told The Associated Press in an interview, a day before a crucial meeting of Korean delegations at Olympics headquarters in Lausanne. He declined to elaborate, saying the decisions would come Saturday. The agreement, which still requires approval by the IOC, would mark the first time the two national Olympic committees would be competing together in a single team. “I can tell you that there will also be some much more exciting initiatives coming through as well tomorrow,” Adams added Friday. Apart from fielding a joint women’s ice hockey team, Seoul’s Unification Ministry said the two countries would march together under a blue and white “unification flag” depicting their peninsula in the Feb. 9 opening ceremony. Some have questioned the fine print of the agreement announced by the two Koreas, saying it gives the combined hockey squad a far larger roster than any other national team. This version corrects that the agreement between the Koreas was announced Wednesday, not Thursday.